Need help planning your next outdoor excursion? Stop by the new Adventure Station at REI in Bloomington! 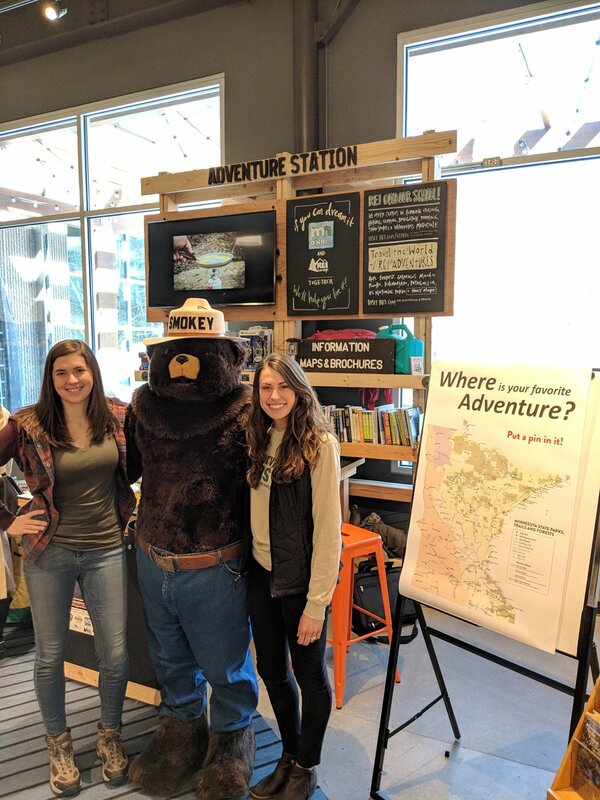 The Minnesota Department of Natural Resources Parks and Trails Department and REI have partnered to launch the Adventure Station, a space to get free resources and advice on outdoor trip-planning. Helping staff this new station is Individual Placement, Aimee Junget. 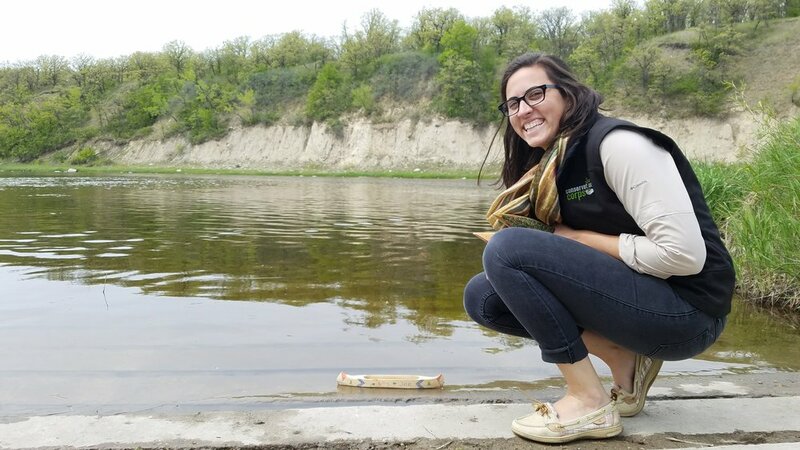 Aimee is the Urban Outreach Specialist placed at the DNR, a new position focused on connecting new audiences to the outdoors. “I love connecting people to things they didn’t know are available,” said Aimee. The Adventure Station is equipped with resources such as brochures, maps, iPads and guidebooks to connect people to new opportunities in the outdoors. “I have had great conversations with a variety of people. From those that have never stayed at a State Park to one guy who has been to every State Park in the state!” said Aimee. Visitors can use the Adventure Station to plan their trip from start to finish. Aimee helped two women plan their first camper cabin trip from scratch! “It is fun to plan a trip with someone who is so excited to try something they have never done before,” said Aimee. And even though there is still snow on the ground, people are anxious to get outside to camp, climb, cycle and paddle at Minnesota state parks and trails. Bike trips are especially popular! As a second year AmeriCorps member in our Field Crew and Individual Placement program, Aimee appreciates the variety of experience she has gained with the Corps, and is making the most of this brand new position. She is excited to continue to build partnerships in order to connect new audiences to the outdoors. The REI Adventure Station will be staffed regularly Tuesday through Friday from 11 a.m. to 7 p.m. as well as Saturday and Sunday from 10 a.m. to 6 p.m.
April 24, 2018 by Bailey Erickson. We all can agree that this has been an extra-long winter. After a weekend of nearly two feet of snowfall it feels as if spring is nowhere in sight. The cold temperatures and late snowfall has been especially hard on our field crews, who spend nearly all of their time doing project work outdoors. Grace Leppink, Crew Leader with the Three Rivers Wildlife Crew, spoke about how her crew has been impacted by the never-ending winter. “Last year at this time, we were in full fire prep mode. Burn season is super delayed this year. I bet we are about a month behind,” said Grace. The Wildlife Crew takes on a variety of tasks during their service term, however, this time of year they are typically clearing trails, chopping dead wood and prepping for prescribed burns. Instead, the crew has been doing a lot of invasive species removal by clearing buckthorn. Luckily, the crew has a good attitude and tries to make every day fun and motivating. “Even the average work days are important,” said Grace. However, the snow did make for interesting work conditions. During chainsaw training this year, the crew had to get creative, designing a makeshift sled to transport gear. Project breaks also often include a quick snowball fight between the crew members. With proper gear and positive attitudes, our crews are still getting work done in this wintery spring! April 18, 2018 by Bailey Erickson. On Tuesday, March 27, Minnesota’s Northwest District held a Focus Group session in Brainerd at the DNR building on Minnesota Drive. The goals of the session were to 1) Develop relationships among stakeholders in the Brainerd area, 2) Identify Brainerd area community needs related to environmental conservation, 3) Gain perspective on Conservation Corps brand awareness in the Brainerd area, and 4) Understand levers impacting career pathways for young people in the Brainerd area. The eight individuals who attended provided insightful feedback particularly on recruitment, partnerships, and community needs. These stakeholders represented many organizations including the Minnesota DNR, Happy Dancing Turtle, Crow Wing Soil and Water Conservation District, Brainerd Parks and Recreation, and Rotary Club of Brainerd. 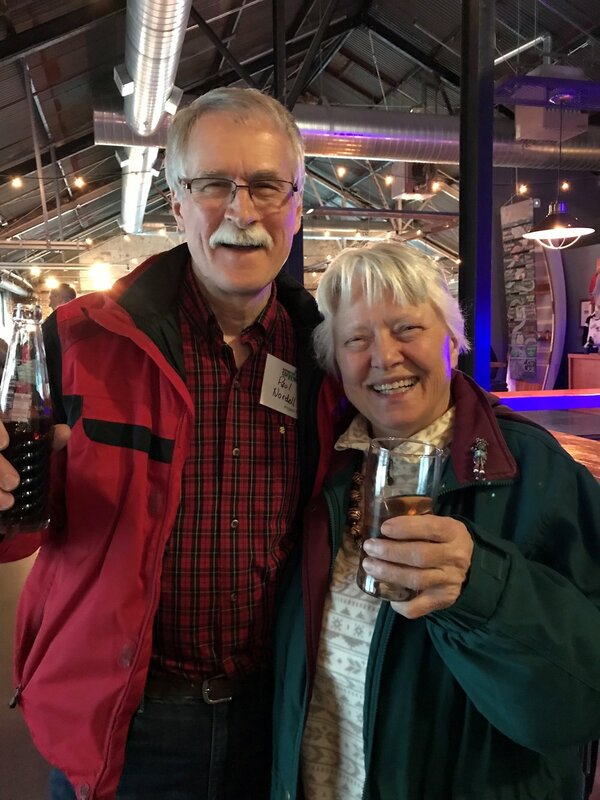 The final session on Tuesday, April 27, 2pm at Jack Pine Brewery, will summarize results of the first session and discuss strategies to meet community needs followed by a social from 4-6pm. If you live in the area, please join us! March 30, 2018 by Bailey Erickson. Each year around this time, Conservation Corps trains about 100 new Wildland Firefighters. Crews come together at Camp Ripley for an intense week of training including; classroom lectures, hands-on skills training and a work capacity test. Once complete, members earn an S-130/S-190/L-180 certificate from the Minnesota Department of Natural Resources as a Firefighter Type 2. So what exactly does that mean? AmeriCorps members spend four days in the classroom learning essentials such as; firefighter preparedness, fuel types, topographic influences, watch out situations, fire weather & behavior, cultural components of wildfire, wildland urban interface, and tools and equipment. They also get hands-on practice with fire shelter deployments, map and compass, radio communications, hand tools, pumps, hoses, Type 6 engines, firing devices, mop-up, gridding and line construction. 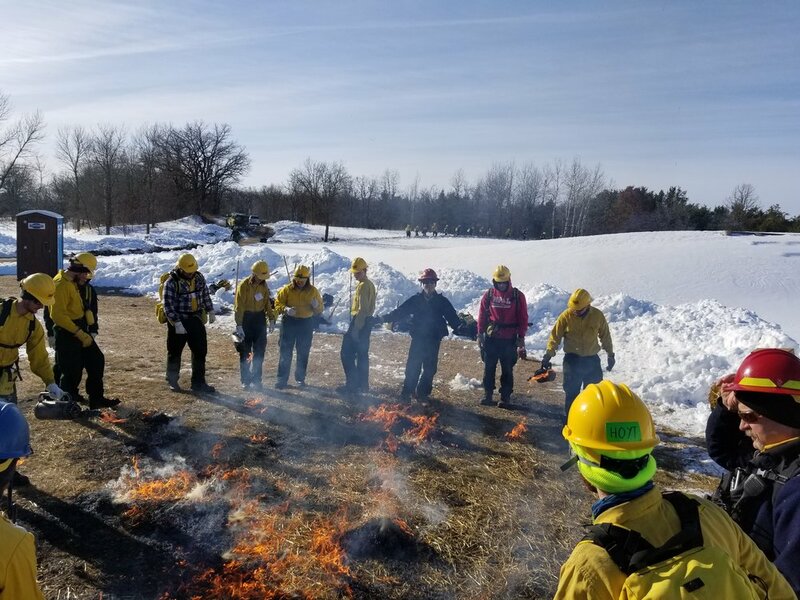 The MN DNR is responsible for leading the trainings, however, members who have gone through the training before were able to assist in advanced leadership roles during the week. Another component of training is the work capacity test where members must walk for 3 miles carrying a 45 pound pack in 45 minutes or less. If they are able to complete this pack test, then they receive their Red Card, which is an interagency certification that demonstrates a person is qualified to do the required job when arriving on an incident. 89 members completed the pack test this year! After the training, everyone is qualified to work on prescribed fire or wildfires. Crews from all over the state will participate in on-call rotation status for wildfire incidents in Minnesota. Four crews each week stand by as reserve crews in case the DNR is in need of assistance during a wildfire. Some of our crews in the Northwest and Northeast District even get to do staffing with DNR Forestry, working side by side with DNR personnel on engines. At the end of the week, the DNR answered questions about careers in Wildland Firefighting. Even though not everyone will go into firefighting, the leadership skills, situational awareness and grit they learn during this week will apply throughout their entire life. Our Loess Hills crew didn’t waste any time before getting in the field after fire training. 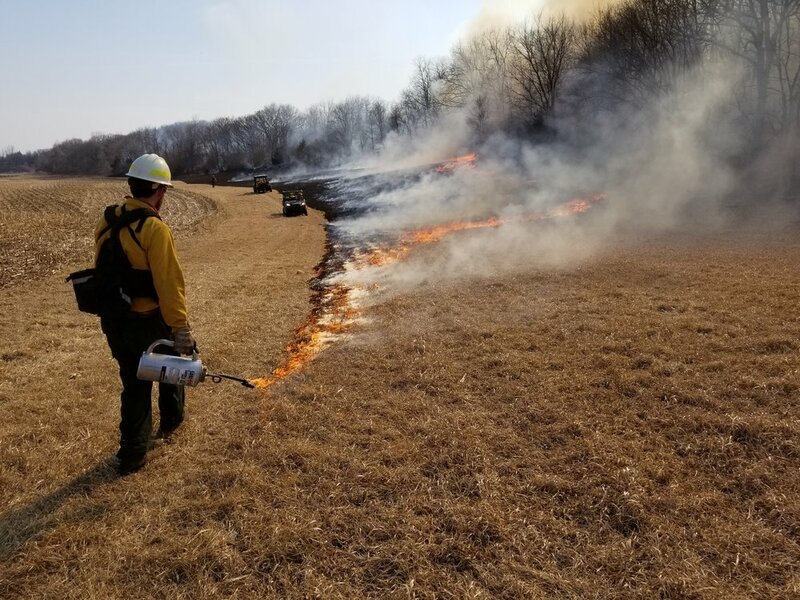 March 19-23, the six-person crew participated in the Loess Hills Cooperative Burn Week which included over 65 people from 20 different units made up of the Iowa Department of Natural Resources, County Conservation Boards, Iowa Natural Heritage Foundation, The Nature Conservancy, Doane College and Conservation Corps Minnesota & Iowa. The burn week serves multiple purposes. The top priority is creating leadership and learning opportunities for new and experienced firefighters alike. This year, an S-211 portable pumps course was offered for free as part of the burn week. It is also an opportunity for firefighters in training to initiate task books and have tasks signed off on. Evaluators and mentors are made available for Squad Bosses, Burn Bosses and Fallers. Finally, it’s a chance for large, complex units to be burned to aid the recovery and sustainability of prairie remnant and woodlands in Loess Hills. In addition to the training opportunities and chances for different agencies to work with one another, a total of 12 units were burned throughout the week totaling 1,243.7 acres. March 29, 2018 by Bailey Erickson. On March 13, we brought together Corps supporters in the Twin Cities including; project partners, donors, alumni, volunteers, friends and family, to celebrate our accomplishments. Attendees had the chance to snack on appetizers, mingle with Corps friends, hear from leadership about important accomplishments and share a beer. We got to hear from Jill Johnson, our Board Chair, about the important work our members and staff accomplished in 2017. She shared how lucky she feels to be a part of an organization surrounded by inspiring AmeriCorps members, hardworking volunteers and dedicated supporters. Renae-Oswald Anderson, our Interim Executive Director, spoke about the current leadership transition and Executive Director Search Process. Finally, Caitie Ryan-Norton, one of our Alumni Council members, spoke about her Corps experience and why she continues to stay involved with us. “It was a wonderful chance to take a step back from my day-to-day work and look at the Corps in a broader context and from the perspective of others. Most of all I loved seeing Corps supporters young and old connect and enjoy each other's company,” said Gina Hatch, Individual Placement AmeriCorps member. 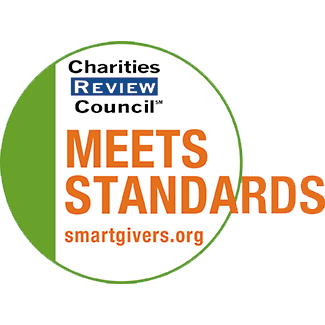 Nonprofit work is often challenging and overwhelming, so it is important to take the time to slow down, recognize our accomplishments and celebrate a job well done. Thank you to all of our supporters who dedicate their time and energy to restoring resources and changing lives. March 23, 2018 by Bailey Erickson. Person or experience that has most influenced your life: Being part of an interagency type 2 IA hand crew out of Minnesota and battling fires out west. March 13, 2018 by Bailey Erickson. Person or experience that has most influenced your life: Moving around a lot gave me the chance to see a lot of beautiful places and people, and taught me to welcome change a lot more. March 8, 2018 by Bailey Erickson. 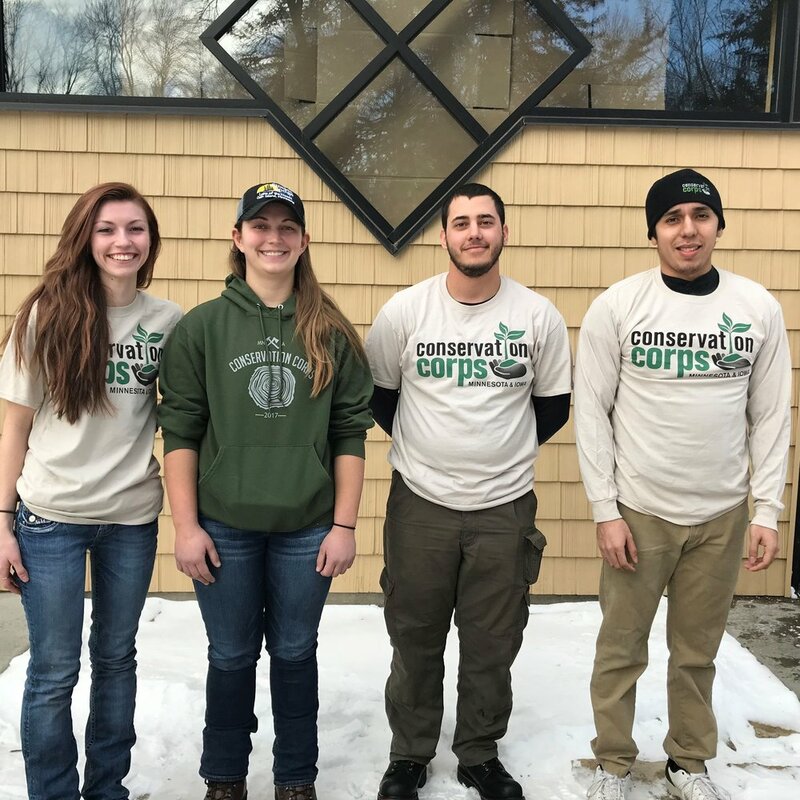 Each year, Conservation Corps program staff prepare for a hectic but exciting start to the season. Within the first two months of the year, hiring for new members wraps up right as orientations begin. New members gather for a week of training and bonding to kick off their service term. Here is a behind the scenes look at what a typical field crew orientation week is like. Tuesday: On day 2, crews come together to meet other district members and staff. They learn about AmeriCorps and Conservation Corps’ history, mission, goals and program details. They also take care of some of the essentials such as uniforms, paperwork, benefits and conservation 101. And don’t worry, there is free time for fun and bonding including; ice fishing, hiking, cross-country skiing, broomball, gym time, games and movies! Thursday: Orientation week ends with sessions on AmeriCorps policy, diversity and invasive species trainings. A key note speaker wraps up the day before crews depart for their individual districts. Orientation wouldn’t be possible without our Member Experience Coordinator, Carrie Danner. She spends months preparing for orientation and makes sure everything runs smoothly. Thank you Carrie, and all of our program staff for kicking off another great year! February 27, 2018 by Bailey Erickson. The Trail Ahead: Learning for the Future at the Annual Corps Network Conference in Washington D.C. In February 2018, The Corps Network (TCN) Annual Conference brought 275 people to Washington D.C. for five-days in order to share best practices, promote innovative approaches, and build relationships with others across the movement. The Conference theme, The Trail Ahead, helped us to envision the next chapter for America’s Corps. 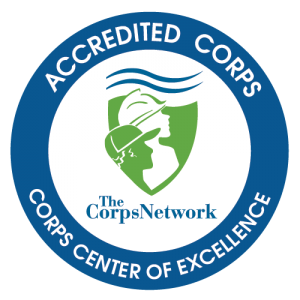 The Corps Network supports over 130 of America’s Service and Conservation Corps, providing critical leadership to the movement. Every year, The Corp Network’s efforts enable over 24,000 diverse young people, ages 16-25, to strengthen communities, improve the environment and transform their lives through service in Corps programs. Ultimately, this work harnesses the power of young people to tackle some of America’s greatest challenges. Conservation Corps Minnesota & Iowa was well-represented at the TCN Conference with six staff members attending from the areas of programs, administration, and development. Each of us played a unique role in the conference experience. Program Director Hollis Emery presented for the workshop, Translating the Corps Experience into Career and Educational Success, explaining how school partnerships and career exploration are woven into the fabric of the Youth Outdoors program. Data Systems Administrator Nicole Zyvoloski presented for the workshop, Improving Efficiency by Optimizing Data Accessibility and Management, where she explained our implementation of the Sales Force customer relationship management (CRM) platform. As our leader in Diversity, Equity and Inclusion (DEI), Board/Executive Administrator Garnetta Lowman participated in all sessions of the Moving Forward Initiative conference track. Member Experience Coordinator Carrie Danner served as our TCN Education Award Program (EAP) representative attending conference sessions related to the EAP AmeriCorps grant. Program Director Brian Miller leveraged his 14 years with the Corps by engaging in critical conversations with colleagues and government agency partners across the movement including the Public Lands Service Coalition in-person meeting. Finally, my role as the newest team member was to learn from others across the movement. I also represented us at the Voices for National Service Annual Steering Committee. Conference plenaries and workshops left us feeling inspired and motivated! Some of my favorite conference moments were those that helped me envision the future. Dr. Dorceta Taylor provided an overview of her research to create a more diverse environmental movement. The session on GIS Story Mapping showed us the power of images to capture how we are restoring our natural resources. 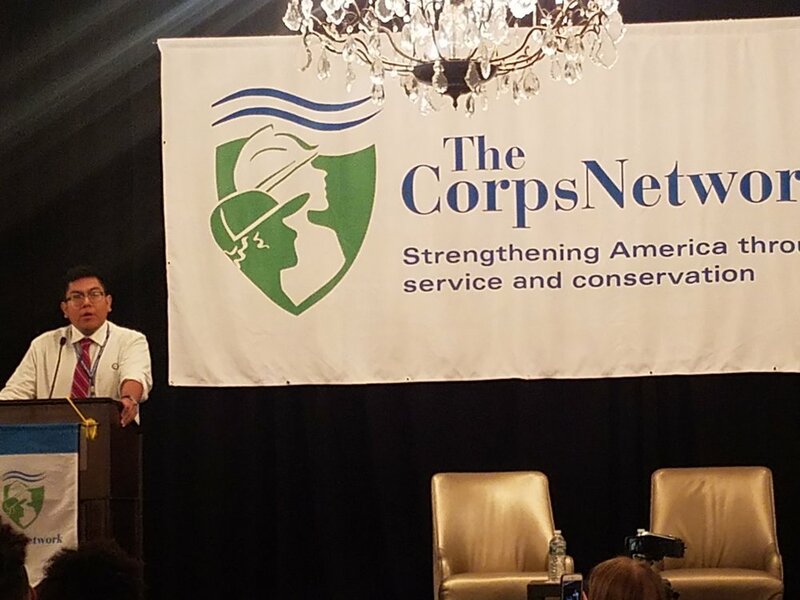 The partnership for the 21st Century Conservation Service Corps meeting, with Secretary of the Interior Ryan Zinke, explained how the initiative provided thousands of America’s young people and veterans the opportunity to build urban and rural economies through national service. At the Voices for National Service Awards event on February 13, Conservation Corps Minnesota & Iowa was featured in U.S. Representative Billy Long’s award video. He was honored with the Congressional Award for his support of national service in Missouri. On the final day of our trip to Washington D.C. several of us visited with our elected officials to communicate the importance of our projects in Minnesota and Iowa. We enjoyed our time with staff of Minnesota’s U.S. House Representatives Betty McCollum, Keith Ellison, and Tim Walz along with U.S. Senator Tina Smith. We also had the opportunity to personally meet with Iowa U.S. House Representative David Young. On behalf of the staff who attended The Corps Network Conference in 2018, we want to thank the Board of Directors and Interim Executive Director Renae Oswald-Anderson for investing in our professional development. We are so grateful for this privilege and look forward to opportunities to implement what we learned during the upcoming year. MINNESOTANS UNITE: Northern Bedrock Historic Preservation Corps staff members Rolf Hagberg and Rhea Harvey (center) meet up with Conservation Corps Minnesota & Iowa staff Melissa Cuff (left) and Garnetta Lowman (right) at the Voices for National Service Awards. 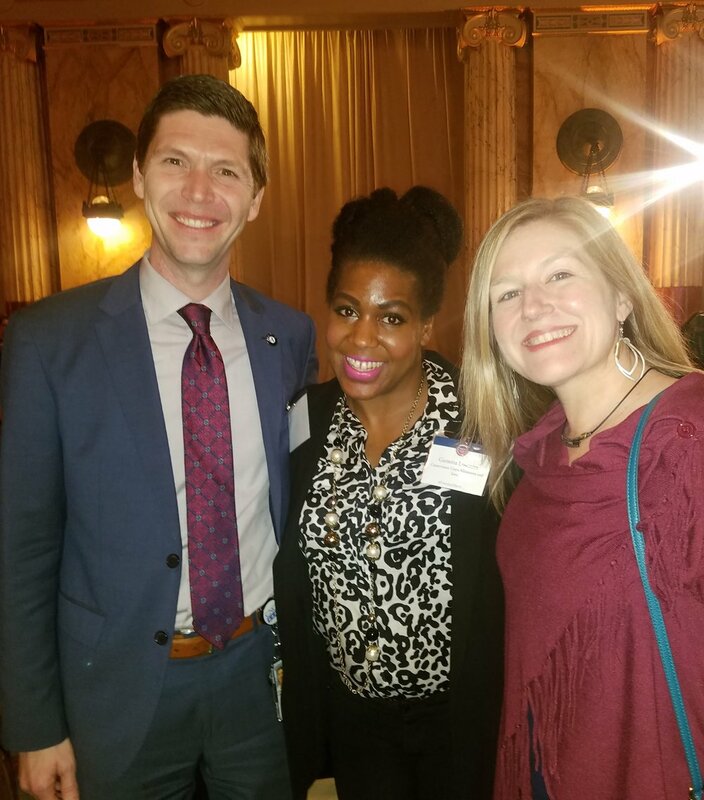 BUILDING CONNECTIONS: Director of AmeriCorps Chester Spellman, of the Corporation for National and Community Service, visited with staff during the Voices for National Service Awards event. 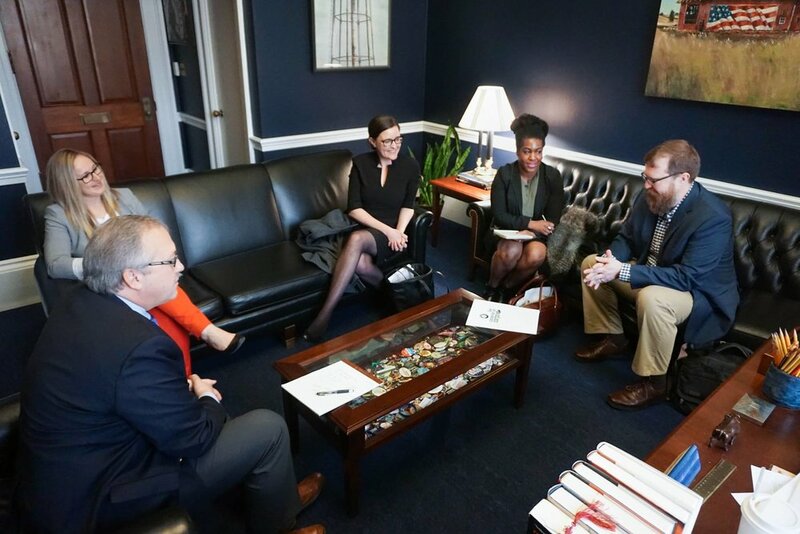 VISITING LEGISLATORS: Staff discussed AmeriCorps projects in Iowa with U.S. House Representative David Young. MOVING FORWARD: Dinner at Ben’s Chili Bowl included an insightful presentation by Hari Jones on the role of African Americans in the Civil War (pictured left to right Melissa Cuff, Hollis Emery, and Carrie Danner). SHARING BEST PRACTICES: Nicole Zyvoloski, Data Systems Administrator, presented with three other tech professionals across the movement on the topic of Improving Efficiency by Optimizing Data Accessibility and Management. CELEBRATING YOUNG PEOPLE: Corps member Lance Tubinaghtewa of Arizona Conservation Corps received the Corps Member of the Year Award for his service in the Ancestral Lands program. SERVING MISSOURI: Conservation Corps Minnesota & Iowa was featured in the video showcasing U.S. House Representative Bill Long when he received the Voices for National Service Congressional Award. The award honored his support of AmeriCorps members working in Missouri (pictured left to right: American Youthworks Executive Director Parc Smith, U.S. Rep. Bill Long, and CCMI Director of Development Melissa Cuff). VISITING LEGISLATORS: Staff enjoyed meeting with Alison Titus, Legislative Assistant on Agriculture to Minnesota U.S. House Representative Tim Walz. We are excited to welcome you to the Conservation Corps. Even as alumni we can still recall the feeling of the first few weeks of a new service term; the anticipation of new skills and training, as well as the uncertainty and excitement of meeting the people you will work, live, eat, and sleep under sky with for the next eight months. It is that nervous energy that comes on the edge of a new experience. The clarity of those memories for many of us comes from a fact to which many Corps alumni will gladly testify; the Conservation Corps experience is formative, influential, and uniquely meaningful. Our excitement for you also comes from knowing the work you have chosen to become part of, and the continuity of effort that you, this year’s service members, represent. As much, if not more than any other time in Minnesota and Iowa’s history, Conservation Corp crews are irreplaceably vital to the integrity and conservation of these state’s natural heritage. On the fire line, clearing trails, restoring prairies, and combating the spread of invasive species, the work you will be tasked with is where the rubber meets the road. Draw pride and energy knowing that you are afforded an opportunity to make a tangible impact for our community every single day. Your service joins a long legacy of Civilian Conservation Corps, Minnesota Conservation Corps, and CCMI service members. We all take great pride in knowing you are carrying that history of service forward. In welcoming you to the Conservation Corps, we also want to extend our support. Your experience will without a doubt be unique, and present its own set of challenges and gratifications. However, you are also going to be confronted by difficulties and questions that were shared by Corps alumni during their service terms. Whether your doubts and questions arise on the ninth day of a buckthorn-clearing spike, or from working a project that just doesn’t quite feel like conservation or service, alumni are eager and available to lend our experience and support. You need only to reach out. We wish and expect all the best for you in the upcoming service term, and hope to connect with many of you along the way. February 23, 2018 by Bailey Erickson. Lauren joined the Corps in 2006 on St. Paul’s first ever Water Trails crew. She served as a member & leader for 2 years with St. Paul before moving to the NW district as a leader and Field Specialist. In 2010, Lauren was hired as the NW District Assistant Manager where she stayed for 8 years. After 12 years of service, Lauren is moving on to pursue Graduate School full time. As she reflected on her years of service, she remembers meeting fellow staff members Brian Miller on her first day as a crew member and Dorian Hasselman on his first day as a crew leader. “It is fun to think back to when we first met and how everyone has evolved. The other staff members have always been great. We are passionate about what we do so it makes for a better work environment,” said Lauren. Lauren also appreciates the opportunity to see AmeriCorps members grow and change as they go through the program. The thing she will miss the most about the Corps is bringing everyone together for orientation. “It is chaotic and stressful but so gratifying to put improvements and preparation into action,” said Lauren. Which is why it is no surprise that she is pursuing a degree in Human Resources and Education with a specialization in Adult Education and Training. Lauren is dedicated to teaching others and contributing to each individual’s personal growth. She is proud of the ways she was able to improve education & training practices for the Corps. During her time as staff, Lauren has created better curriculum, training materials and program sequencing that supports programming in the NW District. Lauren has a year and a half left to get her Master’s through Colorado State University and then plans to pursue a career in full time program development and training. Her long term goal is to get her Doctorate and become a college professor. “I want to help others become better educators, whether they’re instructors in the workplace, in a school, or in their community." Even though Lauren will no longer be involved with the Corps as staff, she looks forward to following the organization. “The Corps has a strong future, and I am looking forward to seeing how it grows and develops.” Thank you for your service, Lauren. We will miss you! January 23, 2018 by Bailey Erickson. Willie was born in Guyton, Georgia, in 1921 but grew up in Sarasota, Florida. In the area where he was born, there were only two paved roads and few people even had shoes. Like many boys of his generation who were the oldest sons, Willie acted as a surrogate father and was expected to help out his family financially. As a result, he only attended school until the fifth grade. He wanted to go further in school but instead worked so that his younger brothers and sisters could attend college. His first job was working on a celery farm in Sarasota, Florida, starting at age 11. Willie’s father had offered his three oldest sons to work in the fields at the celery farm. The work was very hard, since Willie worked six days a week, sunrise to sunset, and was paid only ten cents an hour (or$16 a month). His father would deny him even 25 cents for a movie, so Willie would refuse to work and sometimes run away from home due to the perceived unfairness of his situation. When Willie was 17, an opportunity came his way to work in a [Georgia] Civilian Conservation Corps camp. He was paid $30 a month to help build roads in the area near [Savannah], and was grateful for the opportunity to improve his earning ability. There were not many opportunities for a young black man at that time in our country’s history, especially after the Great Depression. Following his positive experience with the Conservation Corps, Willie joined the U.S. Army and eventually became a T-5 Corporal. With each step, Willie was able to increase his earning ability—including running a whiskey still while in the Army! Like many other African Americans, in the early 1950s Willie migrated north to Philadelphia in search of better working and living conditions. Without a formal education, though, his job prospects were limited to manual labor: cement mixer, longshoreman, general laborer. Some of the jobs he performed were downright dangerous, back-breaking and unpleasant, such as loading heavy tubs of iron ore onto ships. One job at a beef processing plant involved loading barrels of beef on a truck and cleaning livestock manure out of pens. All day he would go from cold room to outdoors and back again. His doctor advised him to quit the job, as it was having an adverse impact on his health. He did, and in 1957 took a civil service test to work at the Post Office. He scored 97 out of 100. Willie worked at the post office until he retired in 1980, and often said this was his favorite job next to the Conservation Corps. Willie met his wife and started his own family in Philadelphia, and both parents passed on to their seven children the assumption that with a better education they could aspire to a better life. One of Willie’s children, Dr. Tyronne E. Carter, eventually relocated to Minnesota and is currently involved in providing STEAM programming to under-served student populations via a nonprofit corporation, America’s Urban Elementary STEM. He is also the author of a semi-autobiographical children’s book, “Tyronne Carter Kid Scientist,” that is carried by Hennepin County Library. The positive experience that the Conservation Corps provided to Willie McKenzie, an experience he often spoke of fondly later in life, thus sparked a chain of upward mobility and community service for his family. January 12, 2018 by Bailey Erickson. For more than 100 years, Boy Scouts of America has helped build future leaders by combining educational activities and lifelong values with fun. BSA Troop 188 in Pine City, MN is embodying this tradition partly through their long-time involvement in Adopt-a-River. They were one of the first groups to join the program and have become our longest running ‘adopter’ to date. Twice a year the troop, twelve boys ages 12-18, hosts a cleanup along 6 miles of the Snake River. If weather permits, they also cleanup along the frozen ice after fishing season wraps up. Over the years, they have come across some interesting trash including; a steel barrel, couch, car batteries, carpet rolls, a toilet, discarded bikes and a kitchen stove! “It really feels like we are making a difference,” said troop organizer James Zaun. “We used to come back from a cleanup with a whole pick-up load. That’s not happening anymore.” The motivation behind joining Adopt-a-River was to keep their waters clean and presentable to the public. It is encouraging to see that their consistent efforts have paid off. The boys also enjoy the chance to get out on the water in their canoes. “It’s not just work for them. 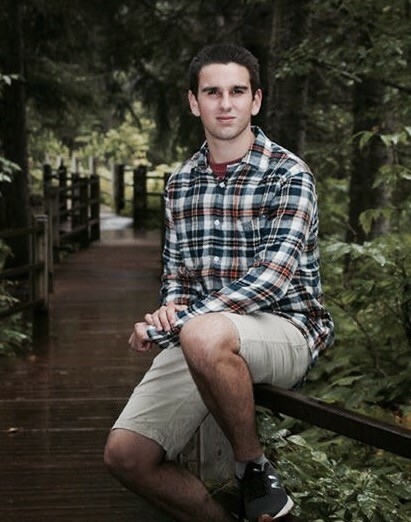 They get to play and have fun on our river while making a difference,” said James. Since 1990, the group has cleaned up over 11,000 pounds of trash with 641 volunteers. Although the members of the group have changed over the years, the tradition and impact remains the same. Thank you to BSA Troop 188 for your clean-water stewardship! December 21, 2017 by Bailey Erickson. Disaster deployments are continually the most meaningful and memorable experiences for our AmeriCorps members during their term. What makes these moments stand out is the opportunity to give back to families in need. 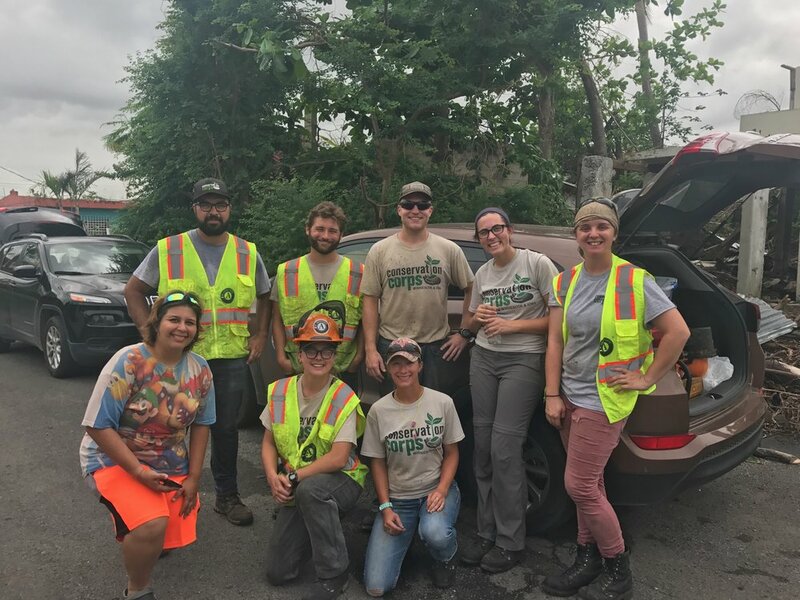 This fall, Conservation Corps Minnesota & Iowa sent crew members to Puerto Rico to assist recovery efforts after Hurricane Maria. This deployment was different than most due to an immense lack of resources, such as no power, dangerous roads and a language barrier. However, what remained the same was the sincere appreciation and selfless generosity of the homeowners impacted by the disaster. Even when families had literally no roof above their head, they offered to share the little they had with our members. All of the members remarked on the connection to place they felt during their service. The opportunity to immerse themselves in the community by building partnerships with community leaders who were able to point members to families most in need allowed every member to truly see the value of what they were doing. While on deployment, our team of AmeriCorps members used their chainsaw expertise to focus on the removal of trees that had fallen onto homes. 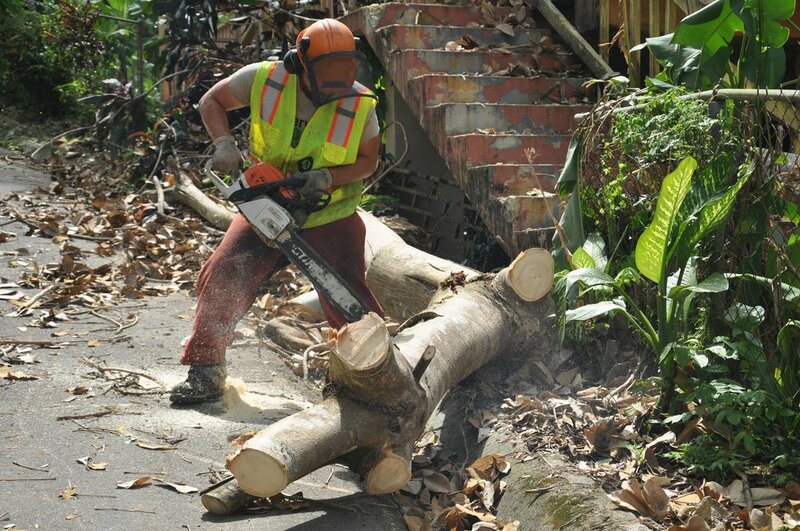 Members honed their chainsaw skills as they worked within the close confines of compact neighborhoods so that homeowners could start repairing their homes without the concern that the tree resting on their roof would eventually come crashing through. Sadly, there is still so much storm damage and recovery work to be done in Puerto Rico. If you are interested in donating to Puerto Rico disaster recovery efforts visit http://www.unidosporpuertorico.com/en/. Follow the lead of our members and give back this season. December 20, 2017 by Bailey Erickson. 2017 marked the first year of Conservation Corps Minnesota & Iowa’s Alumni Advisory Council. The council was created to support our mission and goals by helping the organization strengthen our alumni network. Seven members joined the council this year and helped develop alumni engagement strategies, assisted with planning events, recruitment efforts, and fundraising and provided input to staff and board from an alumni perspective. Through quarterly meetings and ongoing communication throughout the year, our team researched alumni needs & wants, tested new events, shared ideas and built a framework for ongoing Alumni Council projects. Lots of exciting ideas are already in the works for next year and most of our current council members are returning for a second term. However, we would like to expand the council! If you are interested in staying engaged with the Corps in a new way, consider applying to be part of our 2018 Alumni Advisory Council. Applications are due January 12. Apply online. 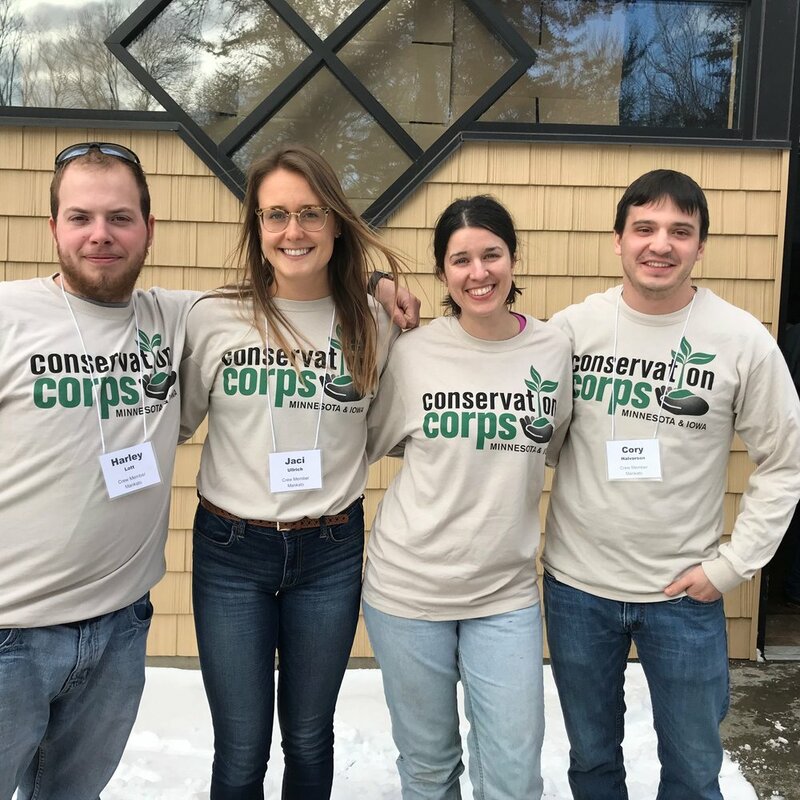 This year 7 alumni have been serving on the Alumni Council to engage Conservation Corps alums, and connect current and future corps members to some of the opportunities and pathways that the Corps can open up for individuals. As council members we have helped to coordinate and facilitate events, written articles, and encouraged engagement in our communities. The Corps has led each members of the council on unique pathways, from a 35 year career in natural resources, to continued service in the United States Coast Guard, to working to make our natural resources accessible to all people. The skills and relationships we have built throughout our time working with the Corps has been invaluable. This year we have been asking current and former members of the Corps about what they learned during their service term. As I reflect on this question, and as the year draws to a close, I see how the Corps taught me to value the work of those around me, and the importance of a strong work ethic. I have also developed friendships that have stretched far beyond the hours spent managing our natural resources. As we look ahead to 2018 I would encourage each alum and friend of the Conservation Corps to continue looking at the impact the Corps has had on your life. There are many ways to remain engaged in the day to day projects of the Corps, including joining the Alumni Advisory Council, recruiting future corps members, donating to support the work the Corps does, and simply reflecting and sharing your own experiences. I would also like to give thanks to everyone who has contributed to making the Corps experience a positive one for so many young people. It is up to us to continue voicing how important this work is to all of our lives. December 19, 2017 by Bailey Erickson. "Earlier this fall I helped organize and run a partner event with MN Parks & Trails and Health Partners at William O' Brien State Park. This event was meant to introduce families to State Parks and had a number of activities like hiking, fire building and fishing. While helping out at the fishing pier, I met a young boy who expressed that he had never fished before but was very excited to try. After showing him how to use the fishing rod he made his firts cast and within seconds had a fish on his line. After coaching him through reeling it in, he pulled up a 12' bass. The look of sheer joy and excitement on his face will definitely stick with me for years to come." It's difficult to encapsulate how great this year has been in a single memory or accomplishment. The real highlight for me has been all the people I've met and the storied I've hear working across the Iron Range at different mines. Getting to know the people, their memories, their concerns and their hopes has been a challenge and a reward. Preserving their history while exploring old mine buildings everyday was more than I can put in a paragraph. Each day I uncovered new artifacts, new stories and explored a new place in the mine and it was an ideal term because everyday was an adventure into the past and the amazing history and people of the Iron Range. Every place we go as Corps members, we take a little of that place, that comraderie and that experience with us. I think I can speak for the others when I say we will keep all of these things with us for the rest of our lives." “One of the most critical incidents for me in my service has occurred more than once. Many times while doing shore land restoration projects and rain garden installs, the landowner comes out to chat and to ask questions when we first get to the site. To me, this is one of the most important parts because having that face-to-face conversation and laying out your plan for them is something that cannot be done over the phone. “Through this job, I’ve passed fields of Canada thistle, and logged harmful wild parsnip on almost every road I’ve passed. I too often feel the discouraging, overwhelming weight of insignificance that pulling one clump of leafy spurge will do. And I often wonder why we’re still fighting. "This past fall I spent several weeks doing watershed education workshops and fall paddling events. On the last day, I was absolutely exhausted and had lost my voice. An area volunteer asked to sit in on my session. After all of the fourth graders left he came up to me and told me that he hadn't watched someone so clearly articulate a lesson while maintaining excitement. 'They all knew what you were talking about; it's truly a gift.' Knowing that all the planning, and driving, and being goofy with fourth graders actually made a difference made it all worth it. December 18, 2017 by Bailey Erickson. Class is in session... outside! A new outdoor classroom is open for business! Several partners including; Duluth East High School Foundation, the MN DNR, the Environment and Natural Resources Trust Fund and Conservation Corps came together to build an outdoor classroom and wildlife sanctuary. Our Youth Outdoors School and Community Forest Crew worked hard to help create a space for students of Duluth East High School to engage in outdoor learning. Features of the classroom include seating for 48 students, bird feeders, suet blocks, a bat house and 3 trail cameras. In order to get the classroom ready for students, crews spread 10 yards of class 5 gravel along the path and across the seating area, installed a very simple step system using boulders and class 5, erected a 4x4 and chain railing system to aid movement up and down the hillside, and we began to create a trail leading to the Eagle's nest. The work will not stop here, however. Future plans include building a simple bridge across the creek, extending the trail from the bridge to the Eagles nest and completing maintenance on the trail built last year. The class will also be concentrating on invasives, mostly buckthorn. 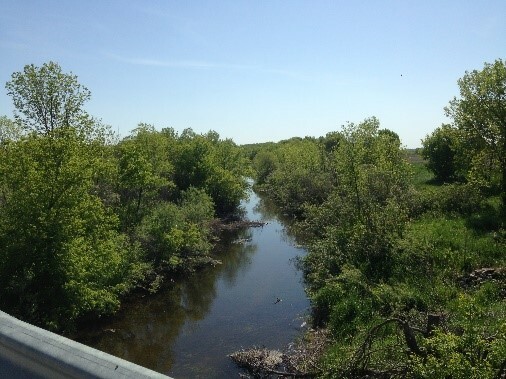 "Working with Conservation Corps Minnesota and Iowa was a major factor in the success of our project. CCMI foreman Nick Cox was easy to work with. Nick repeatedly confirmed that CCMI was meeting our expectations, plus reconciling the work completed with our plans. 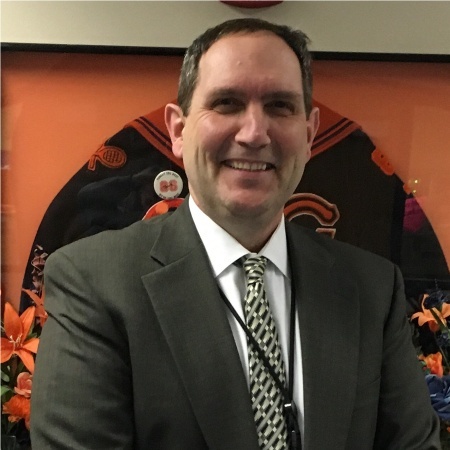 Nick was also a valuable resource for ideas and cost control; Nick recognized the budget restrictions of a school project and made suggestions to keep the costs down. The work crew was also awesome, working hard on the project and asking if we were satisfied. I was so happy with the end result of the project, I am planning on asking for assistance with invasives next fall. Our forest is being over run by buckthorn, amur maple, and black locust. Although we cut a lot down this fall, the work would go much faster with chainsaws. I hope we qualify for a team effort cutting, chipping and spraying next year. November 29, 2017 by Bailey Erickson. When our AmeriCorps Disaster Response Team had our first day in the field it became truly clear that Maria held nothing back on the Island. The landscape was a ruin of decimated vegetation. The trees were plucked out of the ground like weeds. There was endless debris and trash piled above my head on sidewalks and scattered about open areas. The people were living in destroyed homes without roofs, power, and water. It was an eye opening experience and it motivated us to work that much harder every day for those less fortunate than us in Puerto Rico. One of the most enlightening and heartwarming aspects of my deployment to me was working with all the new people we met in Puerto Rico and getting to know our own teams so well. The members and supervisors from WCC were great. Elliot always surprised us with his own blend of strange and unexpected humor and at the same time was a very professional and knowledgeable Incident Commander. The people from other teams and organizations such as CCC, Team Rubicon, and Samaritan's Purse all made lasting impressions on us as well. However, the friendships and teams created within CCMI will be everlasting. We all grew to know each other very quickly and within weeks it felt as though I've known these people I just met my entire life. Another part of my trip that I will always remember will be my interactions with the local people of Puerto Rico. Though there was a tough language barrier I could always read the voices and faces of the people around me. I would see elderly couples laugh, smile, and say thanks to me and my team and it was always a touching moment. I saw a younger couple with a baby and children have sighs of relief and cries of joy and laughter as they watched a tree come falling down from a very hazardous situation on top of their house. Though I couldn't fully understand their words I thought as though I could feel their gratitude. My favorite part of being here was using our specialized skill set for an amazing cause. I will always remember one of the bigger trees we tackled (see IMG_0796 for after picture). One afternoon we were canvasing for a job and we stopped to talk to some people of the community. When we mentioned that we cut trees one old man’s eyes lit up and he started going on about this giant tree blocking entrance to his entire house. He was talking about how everyday he would be forced to climb through a massive hazard tree's wreckage just to access his house. We followed him around a couple blocks to his house as he told us bits about his life. This man once lived in the United States and was a horse jockey for several years of his life. When we arrived at his house we immediately were excited by the look of this project and how it was going to be a fun one to disassemble. We slowly took apart the massive tree piece by piece. It was one of my favorite big jobs with a very grateful and kind man. I will never forget his face or his house. Puerto Rico was a great experience I feel as though I've grown a lot as a person but more importantly this trip has inspired me to grow even more beyond this trip alone and never stop growing. I want to continue to inspire and help others for the rest of my life. November 27, 2017 by Bailey Erickson. Give to the Max Day is this Thursday! Preparing young people for successful futures. $10,000 in MATCHING FUNDS for Conservation Corps Minnesota & Iowa Youth Outdoors program. Conservation Corps Minnesota & Iowa will receive $10,000 in MATCHING FUNDS for Give to the Max Day 2017, through a generous donation from the Otto Bremer Foundation. CAN WE COUNT ON YOU TO HELP US MEET THE MATCH? Young people like Win are at a pivotal time in their lives as they discover their role in the world. Positive out-of-school time-experiences that develop strong values, self-confidence, work ethic, and leadership skills prepare young people for successful futures. 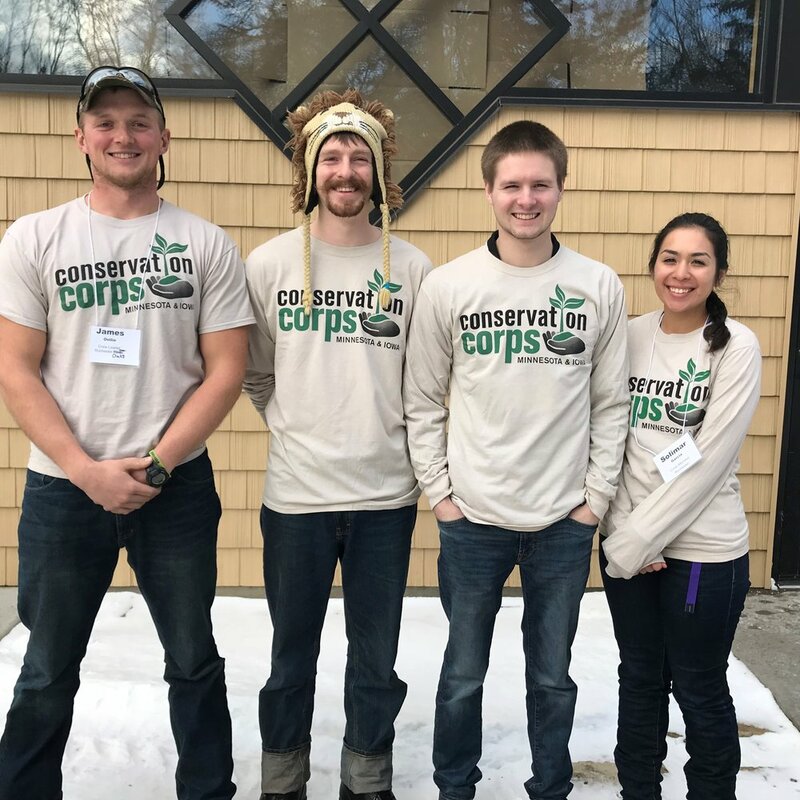 Conservation Corps Minnesota & Iowa connects young people from diverse backgrounds to the environment, engaging them in conservation efforts, involving them in the community, and preparing them for future employment. Your gift will prepare a Corps member for a positive, productive future. Because of a generous $10,000 matching gift from the Otto Bremer Foundation, your gift will go twice as far in changing the lives of young people in our community. WE NEED YOUR HELP TO MEET THE MATCH. PLEASE MAKE YOUR GIFT TODAY! November 13, 2017 by Bailey Erickson.